I am not 100% sure that Adam Lambert, presumed gay but not talking, lost the American Idol crown because of homophobia. 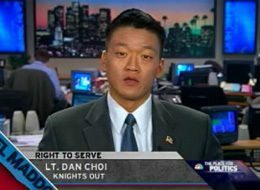 I am however 100% sure that Lt. Dan Choi is getting the boot from the US military because he is gay and he is definitely talking. After checking out the Wikipedia entry on American Idol I feel confident writing that American Idol is where a corporate franchise with sponsors and lucrative product placement and exclusive contracts presents a public face of pop culture allure and tops it off with a grand finale ratings feeding frenzy in which “the people” weigh in with their vote. Who Were These 100 Million People Who Voted? How do we know that it wasn’t people in Norway, fresh from victory in the Eurovision Song Contest who threw the victory to Kris Allen? OK- in most nations AI is not a live broadcast and may be tape delayed by several days or weeks, but that doesn’t completely rule out a Norwegian Surprise. Sponsors know their demographics and I frankly hold no high expectations of the decisions of those who were text messaging their vote while washing down a Pop-Tart with a Coke. And driving. We got the Idol we wanted– for what that’s worth. And we are never going to make AI more than the sugar induced coma that it is. 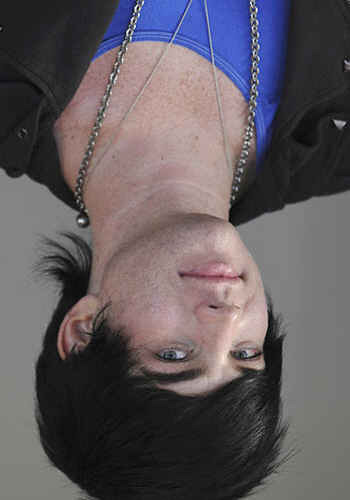 Adam Lambert said in an interview “I know who I am” and in doing so side stepped the issue of whether he is gay or not. As of this moment, I know little beyond the fact that he possesses self confidence and talent and came in second place. It is a real head scratcher for me that publicly admitting you are a homosexual can be construed as synonymous with homosexual conduct. That seems like a real stretch in which the truth is the first thing to be distorted. Choi, a West Point graduate and Arabic speaking linguist decided to take President Obama’s campaign pledge to eliminate discrimination against gays in the military at face value by coming out publicly last spring on the Rachel Maddow show. The man seems genuinely shaken by the outcome-his walking papers with the not so fine print about “moral and professional dereliction.” Don’t Ask Don’t Tell remains the law of the land, our president has not exercised his power to temporarily suspend DADT until Congress revises the law, and the Defense Department remains the last bastion within our government that has not adopted an expansive anti-discrimination policy. Even the CIA and FBI have laid gay discrimination to rest. Lt. Choi wrote an open letter to President Obama, excerpted here. “The Department of the Army sent a letter discharging me on April 23rd. I will not lie to you; the letter is a slap in the face. It is a slap in the face to me. It is a slap in the face to my soldiers, peers and leaders who have demonstrated that an infantry unit can be professional enough to accept diversity, to accept capable leaders, to accept skilled soldiers. “My subordinates know I’m gay. They don’t care. They are professional. “Further, they are respectable infantrymen who work as a team. Many told me that they respect me even more because I trusted them enough to let them know the truth. Trust is the foundation of unit cohesion. “After I publicly announced that I am gay, I reported for training and led rifle marksmanship. I ordered hundreds of soldiers to fire live rounds and qualify on their weapons. I qualified on my own weapon. I showered after training and slept in an open bay with 40 other infantrymen. I cannot understand the claim that I “negatively affected good order and discipline in the New York Army National Guard.” I refuse to accept this statement as true. The language is simple and unequivocal, and it’s about time. Closer to home, Councilmember Todd Gloria made a motion at the May 13th Rules Committee meeting to request full Council support of the federal legislation HR 1283. Councilmembers Gloria and Tony Young were particularly eloquent in their support, and Donna Frye, Kevin Faulconer and Ben Hueso all did the right thing. The American Idol season has come to an end, but our “vote” can make a difference for Lt. Choi and thousands of gays/lesbians in the military. Let’s get that bill through Congress, and send out some thanks to our local elected representatives. Now that’s a powerful response to homophobia. I’m also wondering whatever happened to the Golden Rule? Anyone…Anyone?